LDS twitter: You know how I often feature LDS Twitter feeds and links, well I’m pleased to say that the LDS.org Media library just came out with an informative article on “Twitter” that both describes its functions and provides a handy list of official LDS twitter feeds for The Church of Jesus Christ of Latter-day Saints. Check it out! 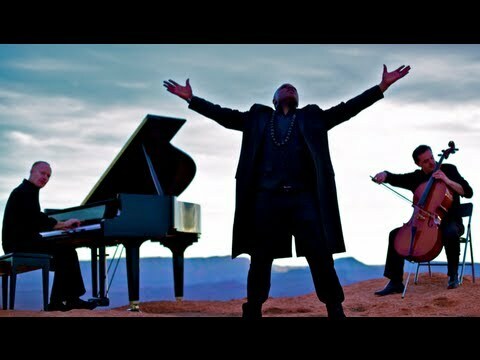 Alex Boye: Enjoy an amazing cover by The Piano Guys of a recent pop song featuring Mormon Tabernacle Choir member Alex Boye: “Coldplay — Paradise (Peponi) African Style (Piano/Cello) Cover.” And the sweeping vistas featured in the video combined with the incredible music = breathtaking. Love it! Oh, and did I mention it took a helicopter to get the piano on the mountaintop? Wow! Prophet tribute: Aw, this beautiful poetic tribute to a prophet totally brightened my day. Check out “The Understanding Heart: A Tribute to George Albert Smith.” Maybe you could include it in your Relief Society or priesthood lesson study or prep? So lovely. Primary printable: Bloggers are making amazing printables again! I love these downloadable “2012 Monthly Song, Scripture, and Theme Sheets” organized for Primary use. Click, download, print, then place them in your Primary binder for a handy reference to each month’s theme. Awesome. Emily W. Jensen updates "Today in the Bloggernacle" on Mondays, Wednesdays and Fridays, presenting the best from the world of LDS-oriented blog sites. Her extended "Bloggernacle Back Bench" appears on Tuesdays.